Successfully Added ThL W100S 3G Phone - Quad Core MT6582M 1.3GHz CPU, 4.5 Inch 960x540 IPS Screen, Android 4.2 OS (White) to your Shopping Cart. 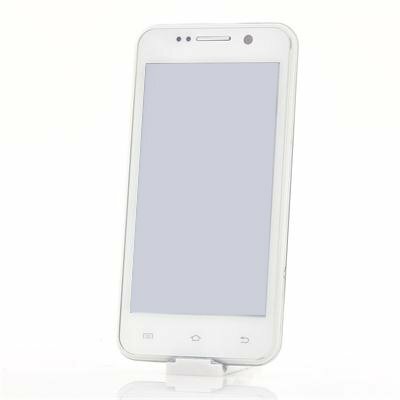 4.5 Inch Android 4.2 3G Cell Phone comes with a mighty quad core MT6582M 1.3GHz CPU as well as a 960x540 IPS Screen for excellent performance and appearance. The ThL W100S is an exquisitely-made Android phone that has a cool textured and smooth appearence plus it offers a vast range of abilities and features, which puts it top of the podium especially at the great wholesale price it is being offered at Chinavasion. Bringing a high speed gaming experience, gorgeous picture quality and smooth game screen, the ThL W100S phone uses a quad core processor that offers speeds of up to 1.3GHz. The CPU, together with 1GB RAM and 4GB of internal memory enables for smooth multi-task operation as well as the ability to save and store files. Offering a 4.5-inch display with a resolution of 960x540 that is coupled with an IPS screen, the ThL W100S offers bright-colored and lifelike pictures and effects making it visually stimulating. The 5-megapixel auto focus front camera provides a cool opportunity to capture your own photos and make your own video calls. The 8-megapixel rear camera offers multiple capture modes and makes everything easy and fun with just one click of the key, you can instantly share amazing moments in HD. 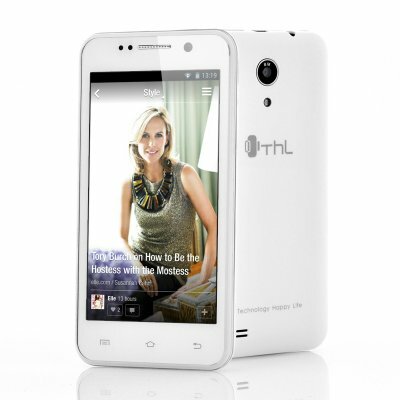 Owing to the Android 4.2 operating system, the ThL W100S mobile phone can be personalized with a variety of themes that are available, plus one-click screen clear and much more. Also if you desire to get the latest applications, you can download them from the online Google Play store that comes pre-installed. In stock now, we guarantee next working day shipping and offer a 12 months warranty on all our products. Brought to you by the leader in electronic devices and wholesale Android Phones, Chinavasion. I have now bought 3 of these phones.Myself & family.Delivered to Australia in 4 days.Insert a telstra sim & instant start.Fantastic phones for the price,do everything that a $600 phone does. Iam very happy with this phone.the value for money is excellent. Phone works great, had it so far work with Bell and Koodo in Canada. Nothing bad so far, just ordered a second one. Excellent! The phone works perfectly. Quick delivery and on time.